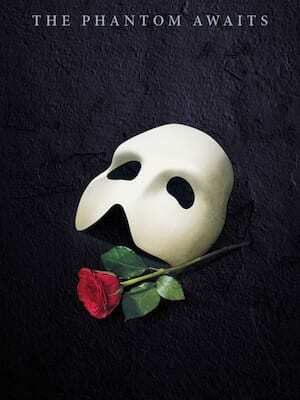 The only theatre in London to get a corresponding gender change on the coronation of a new monarch, Her Majesty's (originally named for Queen Anne) has been haunted by Andrew Lloyd Webber's The Phantom of The Opera since 1986. Fittingly, the theatre, (and the three that have preceded it on the site since 1705) has enjoyed a long history of opera, hosting the London premieres of many of the repertoires enduring favourites. Cosi Fan Tutte, The Magic Flute, Don Giovanni, Carmen, Wagner's Ring Cycle and The Barber of Seville all made their UK debuts here. Having burned down a few times, the French Renaissance style theatre that now inhabits the site was completed in 1897 by Sir Herbert Beerbohm Tree, who used it to stage productions of Shakespeare and other literary pieces. The 20th Century saw a lot more firsts for London, with premieres of works by George Bernard Shaw, Noel Coward and J.B. Priestly among them. Other notable productions have included UK premieres of Brigadoon, Paint Your Wagon, West Side Story and Fiddler on the Roof. Now the home of the world's longest-running musical, its stunningly glittering interior is still a sight to behold, with its luxury only adding to the gothic atmosphere of its current incumbent. 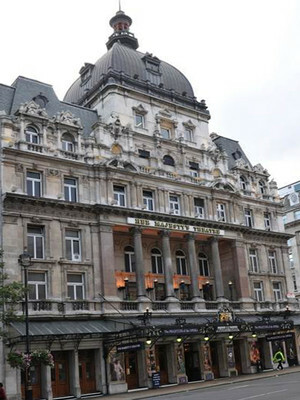 Please note: The term Her Majestys Theatre as well as all associated graphics, logos, and/or other trademarks, tradenames or copyrights are the property of the Her Majestys Theatre and are used herein for factual descriptive purposes only. We are in no way associated with or authorized by the Her Majestys Theatre and neither that entity nor any of its affiliates have licensed or endorsed us to sell tickets, goods and or services in conjunction with their events.